32 page staple bound zine featuring graphite drawings and photography. 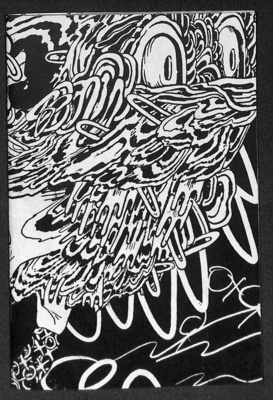 Originally issued as part of the "Zine of the Month" series by Mark Price. http://rightsstatements.org/vocab/InC/1.0/ This work is under copyright. Rights are held by the original creator(s). The image presented here is for educational purposes only.